One of the important astronomical events in the world will be explained on Facts about Eclipses. The obscured astronomical object is considered as the main characteristic of an eclipse. It occurs temporarily. There are two major types of eclipses. They are the lunar eclipse and solar eclipse. 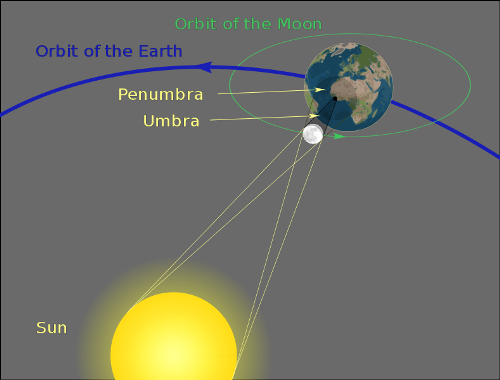 The former one occurs when the moon moves into the shadow of earth. The latter one is defined when the shadow of moon crosses the surface of earth. Why don’t you look at the whole post below for more information about eclipse? 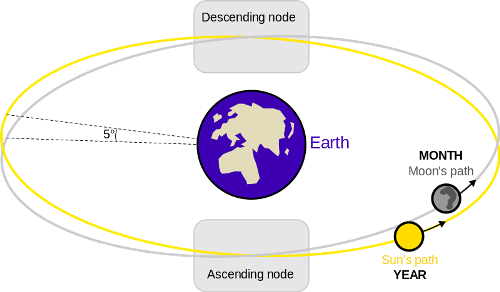 The term eclipse is only used in the Earth-Moon system. Do you know that this system has been used to call the similar event, which takes place in other planets? The Sun, Earth and Moon should be almost in straight line so that an eclipse may occur. 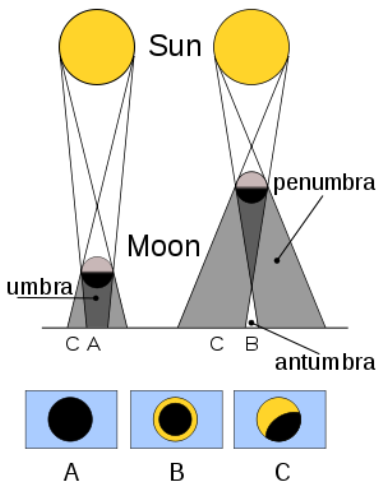 In a calendar year, eclipses may occur from four to seven times depending on the cycles. Look at facts about dark matter here. In 1908 and 2038, there are three solar eclipses and four lunar eclipses. In 1934, the people witness two lunar eclipses and five solar eclipses. In 1917, 1973 and 2094, earth experiences three lunar eclipses and four solar eclipses. In 1591, 1665, 1787, 1805, 1917, 1982 and 2094, the seven eclipses take place in maximum feature by excluding the penumbral lunar eclipses. Eclipse is considered as an important astronomical event. The people will like to view the eclipses right away on earth. Some people gather to spot this rare phenomenon. If the Moon passes in front of the Sun, a solar eclipse will take place. The distance between the Moon and earth will decide the type of solar eclipse. 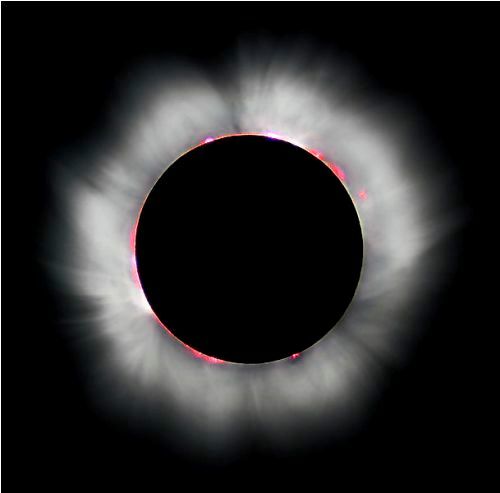 An annular solar eclipse occurs when the Earth’s surface is not reached by the umbra. Therefore, the partial occult occurs on the sun. See facts about Earth’s Rotation here. An eclipse is considered as a brief event. However, it may last for seven minutes and 31 seconds if the condition is favorable. Other systems of eclipse are also identified when it is viewed at the different points of space. In 1969, earth eclipsed the sun observed by the Apollo 12 crew. In 2006, Saturn was observed to eclipse the Sun by the Cassini probe. Do you have any comment on facts about eclipse? Facts about Asteroids and Comets tell you about the objects in space. Sometimes asteroid is just like a planet.